A mother and her three daughters – all diagnosed with breast cancer. Kathleen O’Brien shares her family’s history battling a disease which eventually took her mother’s life and now has struck three more times. Kathleen and her sisters, Angel and Brenda, carry the BRCA gene which means they face a much higher risk of developing both breast and ovarian cancer compared with the general population. 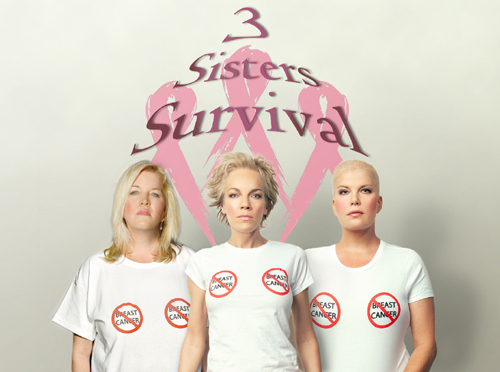 Within one year, all three sisters were diagnosed with breast cancer. The struggles of dealing with surgery, chemotherapy, and radiation have not kept Kathleen from living up to her nickname, “Sunshine.” Her positive attitude as she supported her sisters in their battle with breast cancer spilled over to her approach in dealing with her own treatment. As Kathleen continues to recover, she has focused her efforts on fundraising to help patients and their families with lodging expenses during their cancer treatment. This is an unbelievable and amazing story. Thank you for sharing.